Our blog post today addresses one of the TOP questions we receive from technology innovators at Duke: Where do I find funding for my project? Below you’ll find a round up of internal resources for Duke faculty and staff. We’ve included a description of the funders, followed by a table outlining deadlines, amount available, and links for more information. So go ahead and bookmark these pages and return often! Of course, a good first stop is to check out the extensive list of opportunities on the Duke University Research Funding website. Since 2006, Duke's translational partnership with the Wallace H. Coulter Foundation has supported collaborative research projects that address unmet clinical needs and lead to improvements in health care and to commercial products. 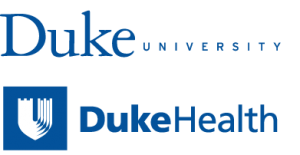 At Duke, each partnership award supports collaborative translational research projects that involve co-investigators from each of the following: Duke Biomedical Engineering and a clinical department of Duke Health. Duke’s Clinical & Translational Science Institute Accelerator program collaborates with partners at Duke and other institutions to provide researchers with funding opportunities for the entire translational spectrum. There are multiple funding options open on a rolling basis. This funding mechanism is limited to those working in medical or health sciences research. Sign up for the CTSI newsletter to receive RFPs straight to your inbox so you don’t have to remember to follow up on the website. Department chairs have a range of discretionary funds that can be awarded to faculty within that department upon approval by the chair. To pursue, prepare a well-formed pitch that includes how the investment will either improve patient outcomes, drive down costs, increase revenue, improve staff satisfaction, etc. Reach out to our team for more info and to get help in preparing your pitch. Request a consult with the Mobile App Gateway. Each fall DIHI calls for pitches for the annual Devil’s Tank. A handful of innovations are invited to pitch their ideas to DUHS leadership for health system support and funding. One to two projects are usually selected for further support from Duke to pursue their product development and implementation. This is one of the most popular funding mechanisms at Duke. On average, DIHI receives approximately 75 proposals and funds around 10 projects each year that range in awards from $20-$60,000 that also include in kind project management and software development support. The RFA announcement is in August of each year with applications due at the end of September for a March start of the following year. Duke AHEAD’s mission is to promote excellence in the education of health professionals by creating a community of education scholars, fostering innovation in health professions education, supporting outstanding teachers, providing faculty development programs and facilitating quality education research. This funding mechanism is intended to provide critical start up for pilot research or funding for innovative projects that will generate new evidence, new ideas, and/or new approaches for improving health professions education. AHEAD prioritizes support of projects that are innovative and illustrate the potential to positively transform the educational experience of learners and/or the learning environment in Duke Health. The MAG has advised on a successful Duke AHEAD grant technical approach. Founded in 2015, the Duke Angel Network invests in companies in which a founder, executive, or board member is a Duke University alumnus, faculty member, staff member, student, or parent. Duke Angel Network members (investors) are individual accredited investors with a Duke affiliation. The group targets private companies with the potential for significant growth and financial return. In addition to facilitating investments, the Duke Angel Network leverages the power of the global Duke community to provide guidance and expertise to portfolio companies. Duke Innovation and Entrepreneurship is a hub for students and faculty pursing entrepreneurial ventures. Their staff provides advice, coursework, events, and funding as well as connections to the startup community in Durham. There are a variety of funding mechanisms through Duke I&E that can be found on their website. The Duke Incubation Fund is a new investment fund that supports idea-stage projects with commercial potential. One member of the team applying for funding must be from Duke. Investments are given for up to $20,000 to be used over the course on the year on direct costs to growing the business. MedBlue Incubator was founded in 2013 to identify promising new science and technology from the Duke University Medical Center and Duke University. They are a for-profit C corporation operating as a business incubator for member departments that include the departments of Surgery, Pathology, Anesthesiology, Medicine, Neurosurgery and Orthopedics. TheMedBlue Incubator provides seed funding, early-stage business support and opportunities for partnerships. NOTE: Funding is intended for development of the technology in a company setting (including for formation of a company, if not already formed), and is not intended for use by an investigator as research funds for the investigator’s lab. MEDx (Medicine + Engineering at Duke) was forged in summer 2015 to enhance existing ties and foster new interdisciplinary collaborations between the School of Medicine and Pratt School of Engineering, as the first part of a forthcoming Provost initiative to create opportunities at the intersections of academic units. MEDx will foster the exchange of ideas and create research opportunities between physicians, engineers, computer scientists, researchers and innovators. MedX offers pilot funding annually. Check out the winners in 2018 here for ideas. The Office of Foundation Relations supports Duke faculty and administrative projects with foundation fundraising. The staff can guide researchers through the processes at different foundations and can increase the chance of success in Foundation funding. They have relationships with some of the University’s top foundation donors. The office has a high success rate with 51% of dollars requested won and over 50 faculty supported. The Center for Nursing Research offers annual calls for pilot studies that are usually up to $20,000. The RFAs focuses on bringing together collaborative research teams to address novel, current and innovative research in the Research Areas of Excellence (RAEs): methods and analytics, clinical innovation, precision health, and population health. If you are interested in external grant funding, investments or partnerships outside of Duke, contact our team to discuss options. We will also be sharing another blog post soon with ‘hot’ NGO and governmental funders for digital health research!